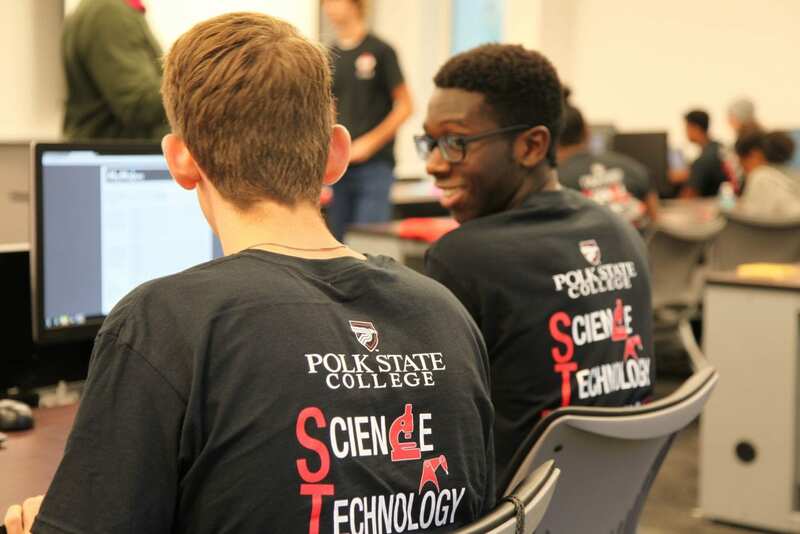 Nearly 20 students set to start at Polk State College this fall spent a week of their summer learning about STEM and the resources available to them at Polk State to ensure they are successful in college. 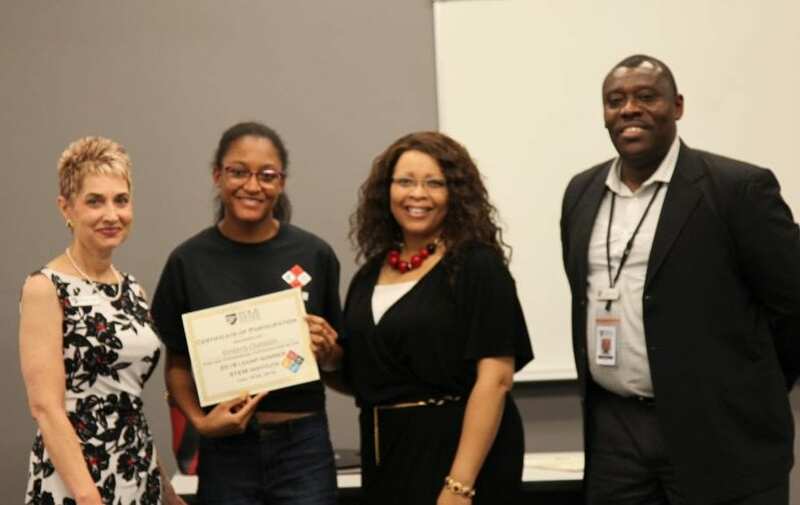 The Louis Stokes Alliances for Minority Participation Program’s (LSAMP) Summer Success Institute gave the incoming freshmen an introduction to Polk State and pathways to Science, Technology, Engineering, and Mathematics (STEM) careers. 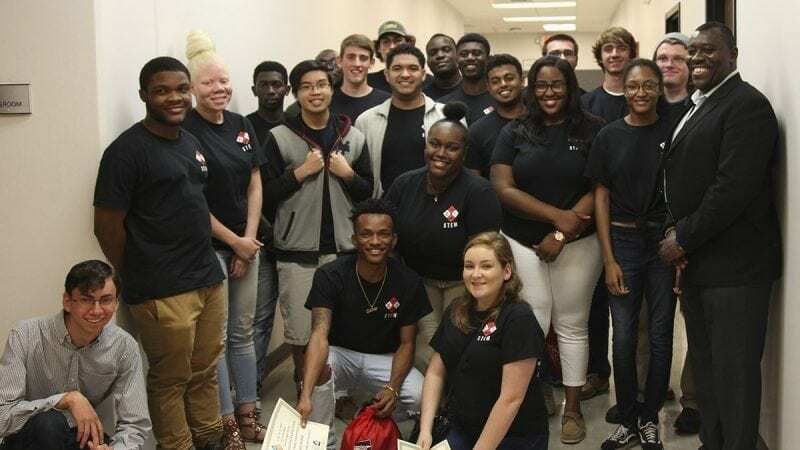 Many of the participants shared similar interests and stories, noting that their advisors connected them to the program due to their aspirations to pursue careers in STEM fields. 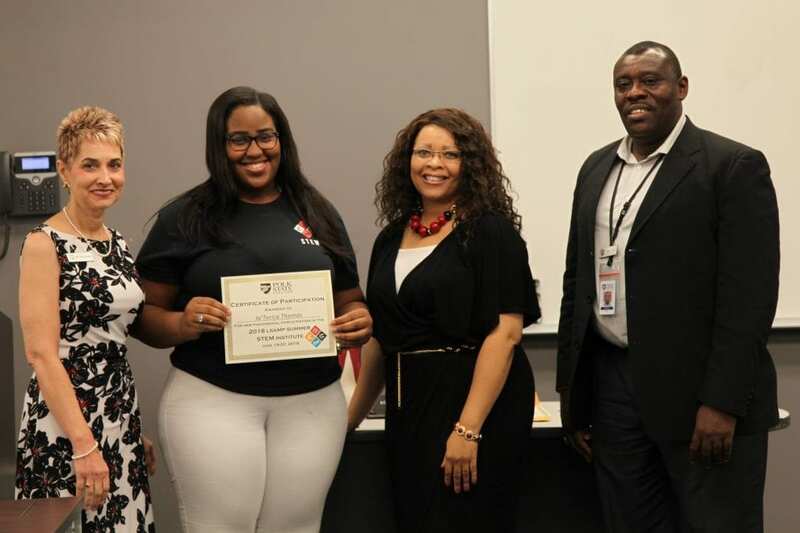 LSAMP is funded by the National Science Foundation, and the Summer Success Institute is free for students. 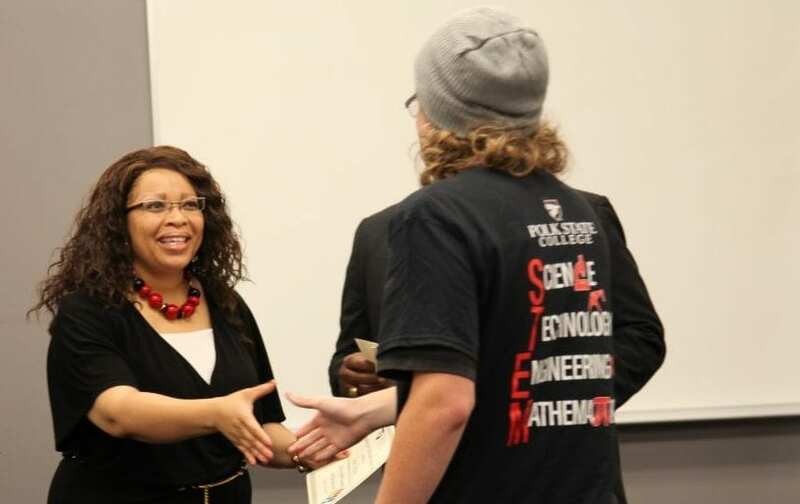 From 8 a.m. to 4 p.m., Monday through Friday, students heard from Polk State professors in the areas of mathematics, biology, physics, and chemistry, as well as from University of Florida’s Geomatics Program Specialist Katie Britt. 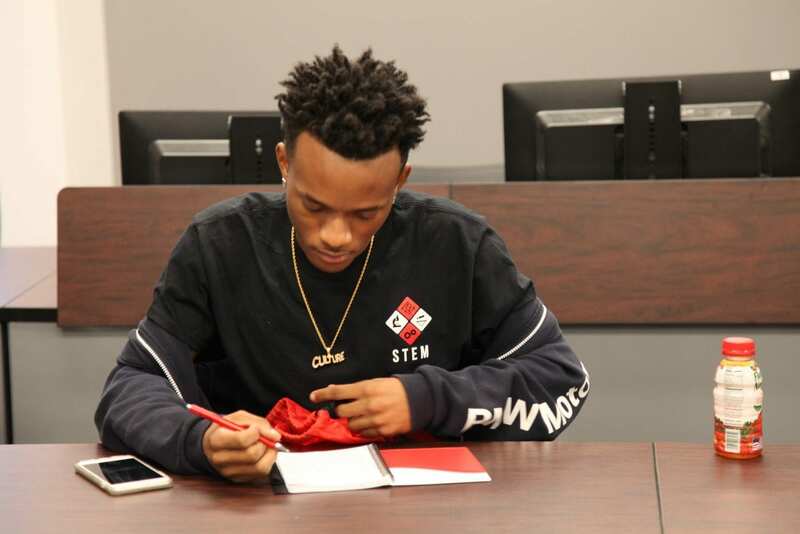 They toured the Winter Haven Campus, from advising and financial aid, to the science building, and had the opportunity to hear from faculty and staff about navigating college. 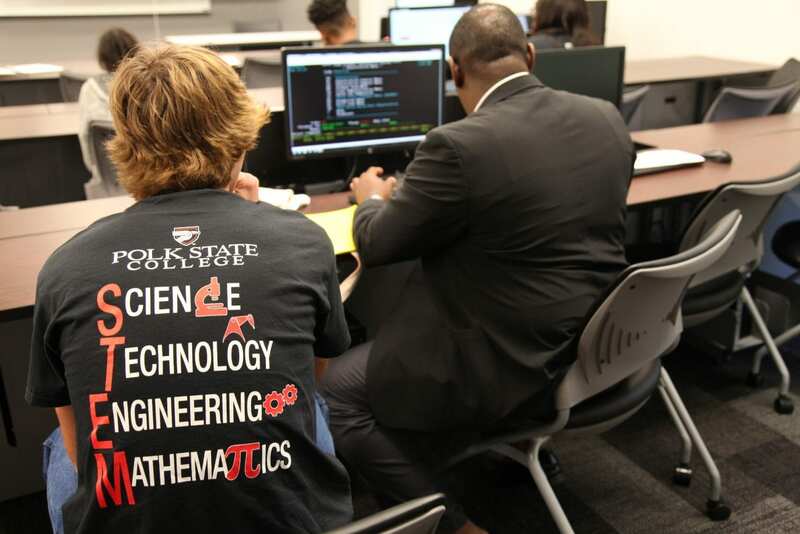 “The goal is to get students acclimated to college and excited about the STEM opportunities available to them here at Polk State and beyond,” Polk State LSAMP Advisor and Senior Program Specialist John Fynn said. 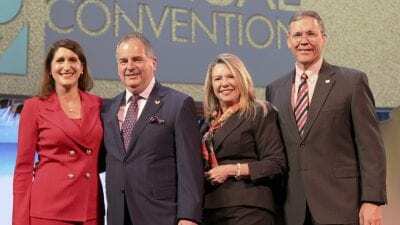 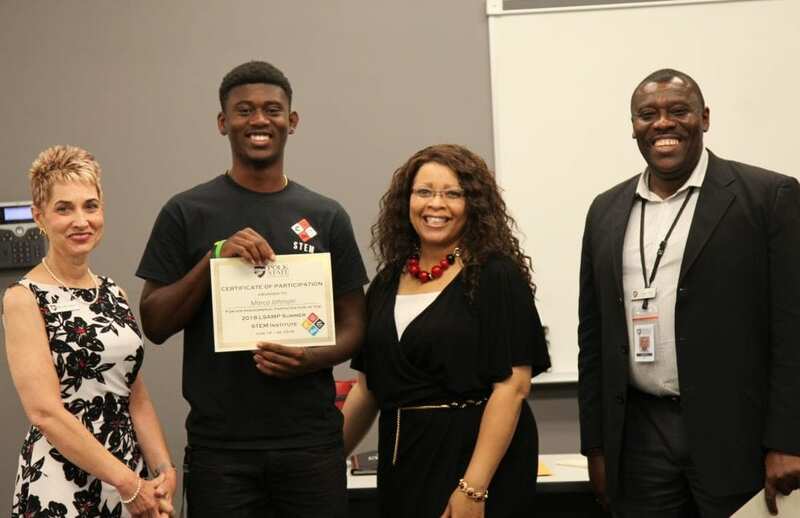 LSAMP’s goal is to assist universities and colleges in diversifying the nation’s STEM workforce by increasing the number of STEM degrees awarded to minorities. 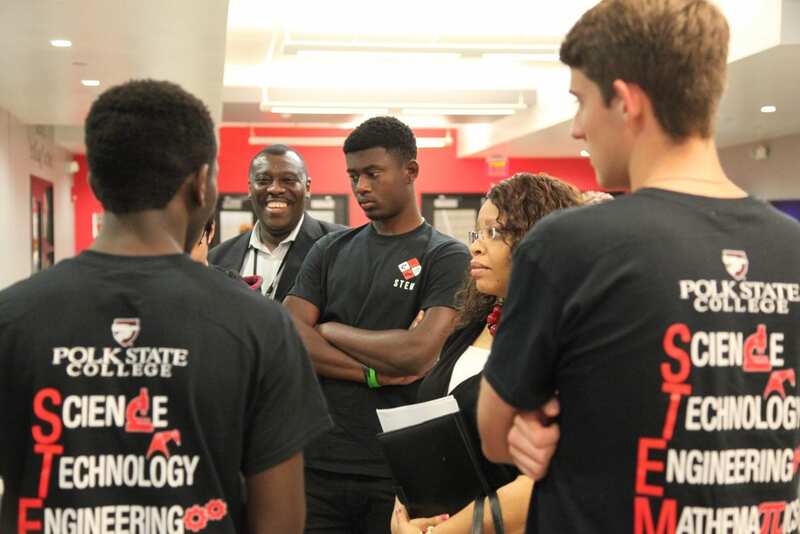 In addition to connecting students to an extensive network of secondary education, four-year institutions, and graduate programs that offer viable pathways to STEM degree achievement, LSAMP also provides students with research opportunities, mentoring, and more. 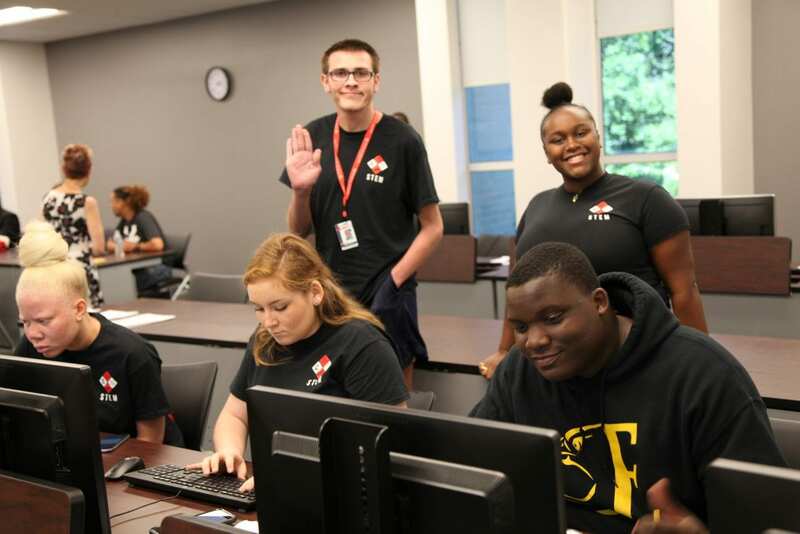 As part of the Summer Success Institute, students completed group projects in which they researched how STEM may solve global issues, such as water pollution, world hunger, and a need for clean, renewable energy sources. 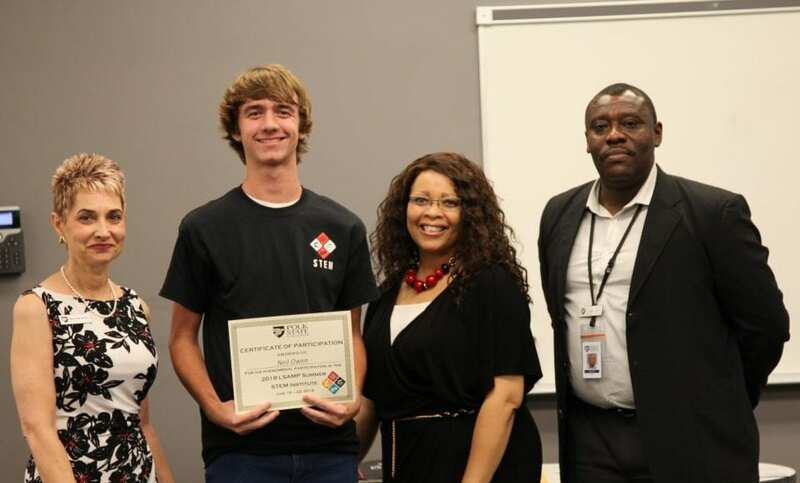 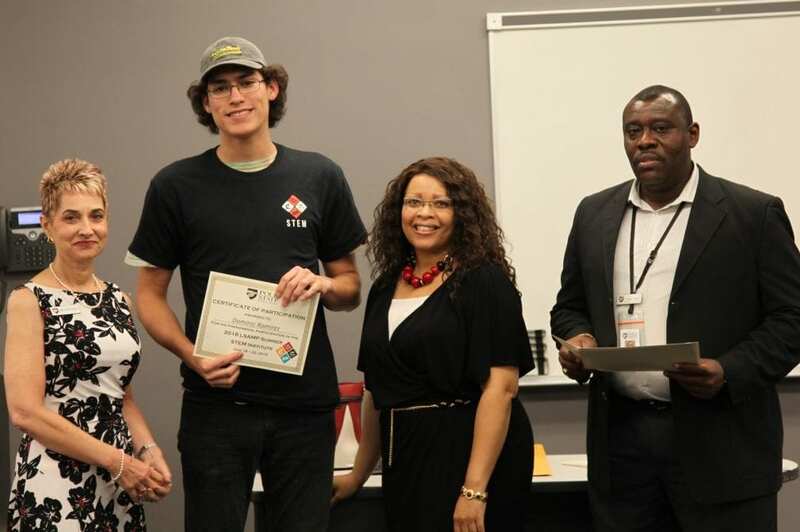 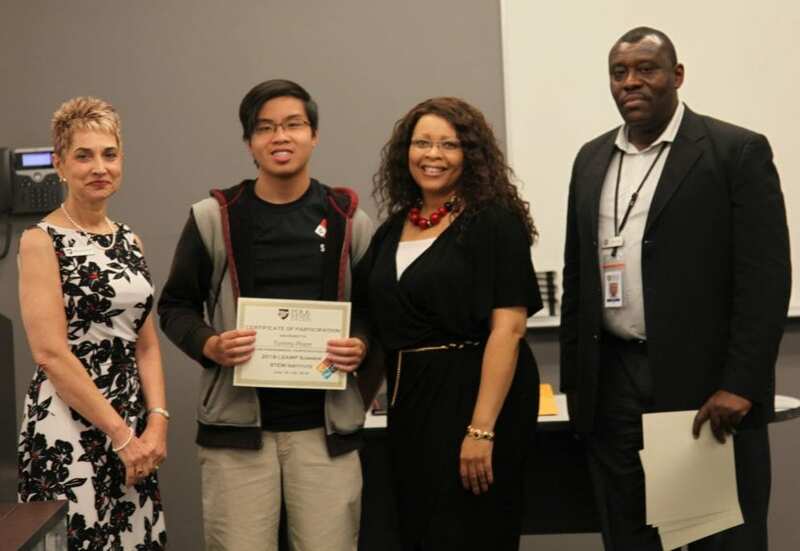 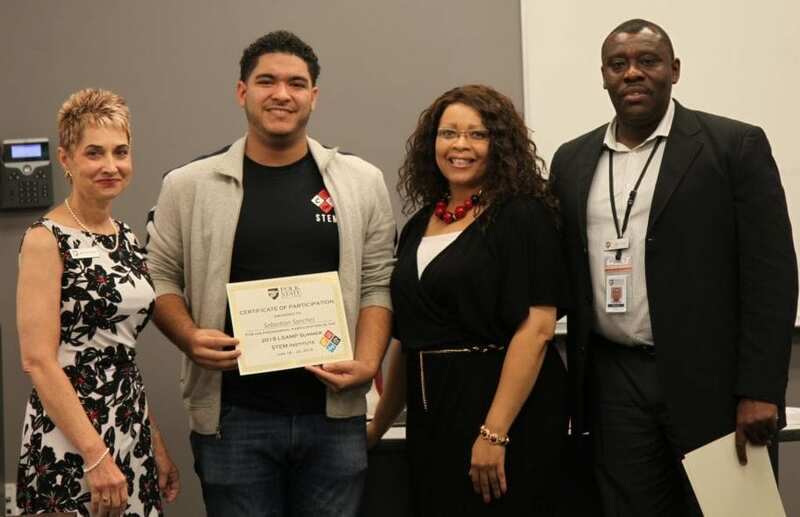 “This project showed us that everything is connected – science, technology, engineering, and mathematics,” said Sebastian Sanchez, who recently graduated from Winter Haven High School and aspires to study mechanical engineering. 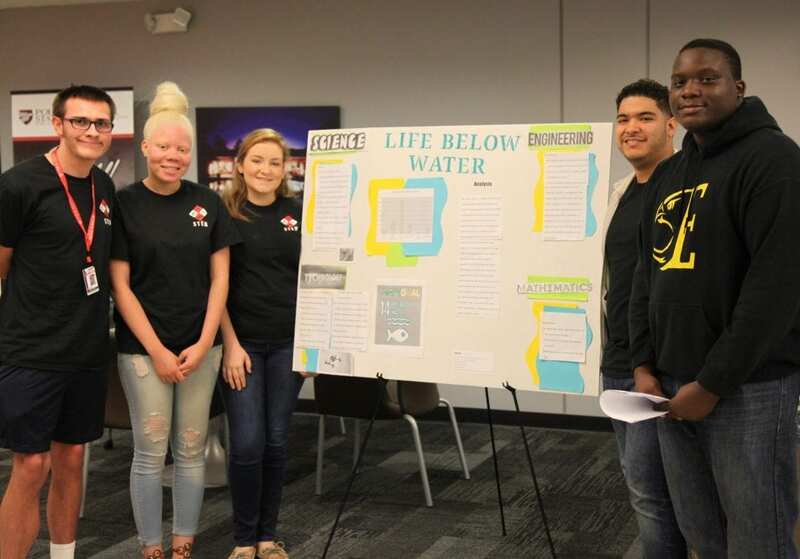 With Lyndsey Brown, Tynasja Gomes, Jonathon Carter, and Sylvernus Osagu, Sanchez and his group completed a project titled “Life Below Water,” in which they identified how each STEM area contributes to solutions for water pollution and conservation. 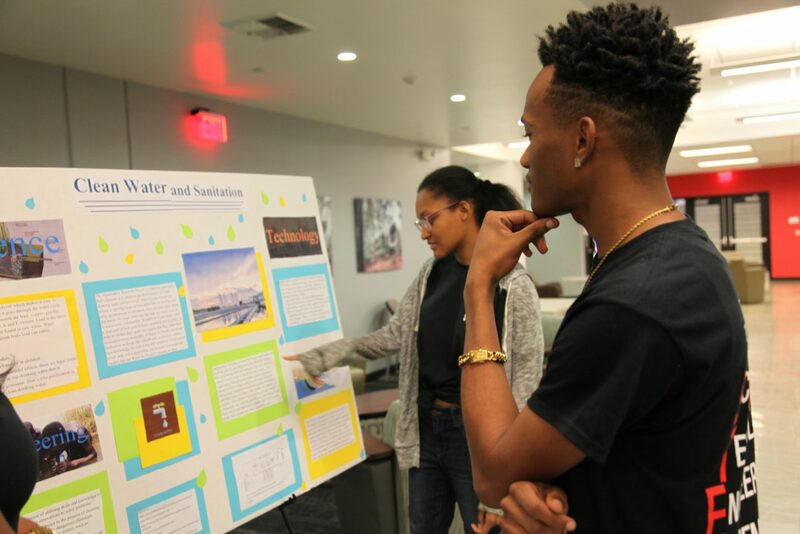 The students presented their projects Friday afternoon with ease and understanding of their topics, which they studied an hour a day Monday through Thursday. 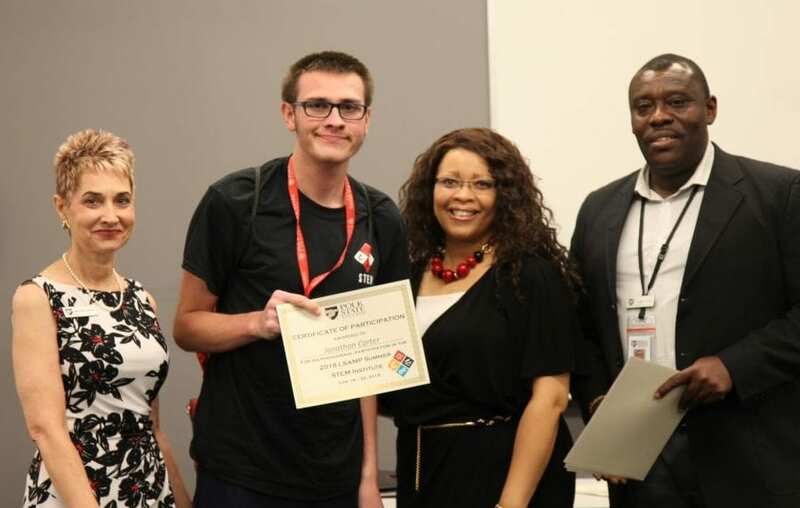 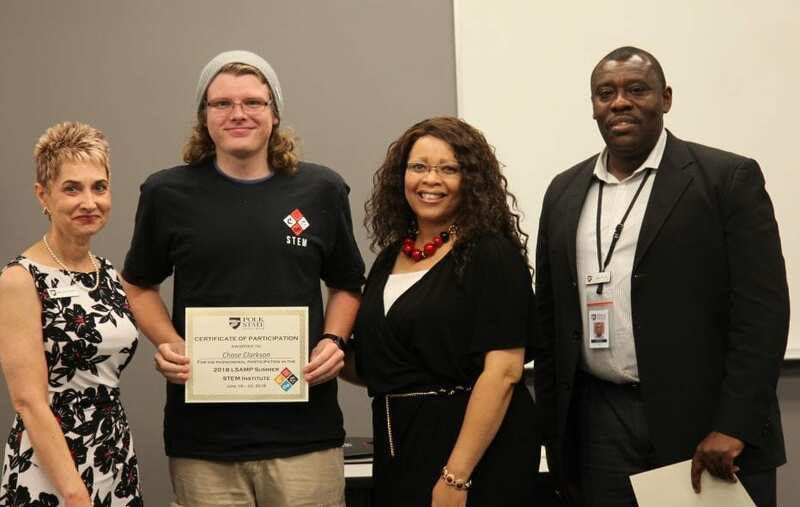 “The goal is to get students acclimated to college and excited about the STEM opportunities available to them here at Polk State and beyond,” said Polk State LSAMP Advisor and Senior Program Specialist John Fynn. 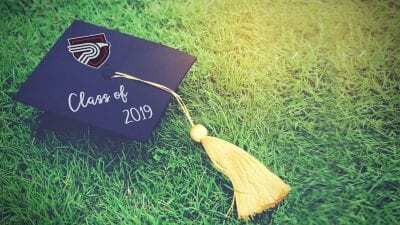 The three other groups of students echoed similar sentiments. 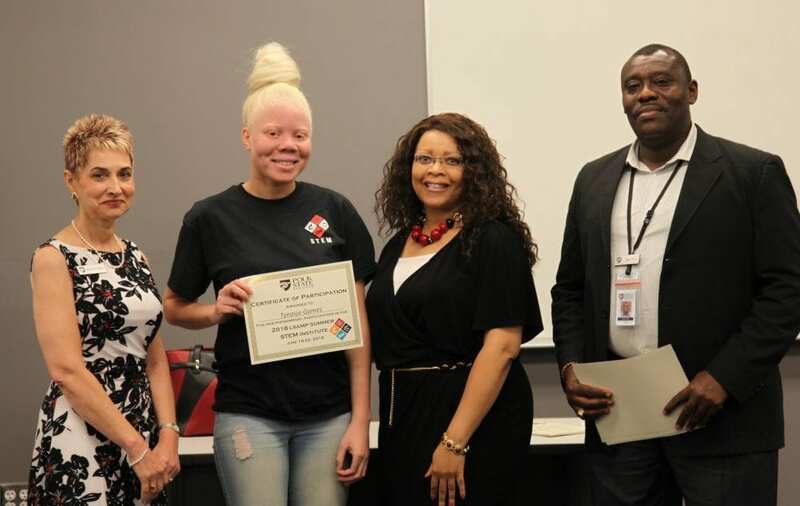 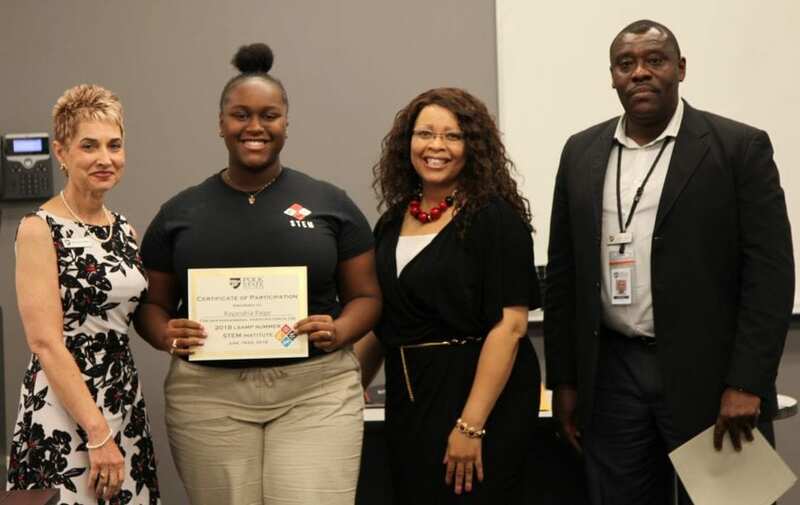 Kimberly Chatelain, who graduated from Haines City High School and plans to study psychology and biological medicine, learned about the program through orientation and her previous involvement in Upward Bound. 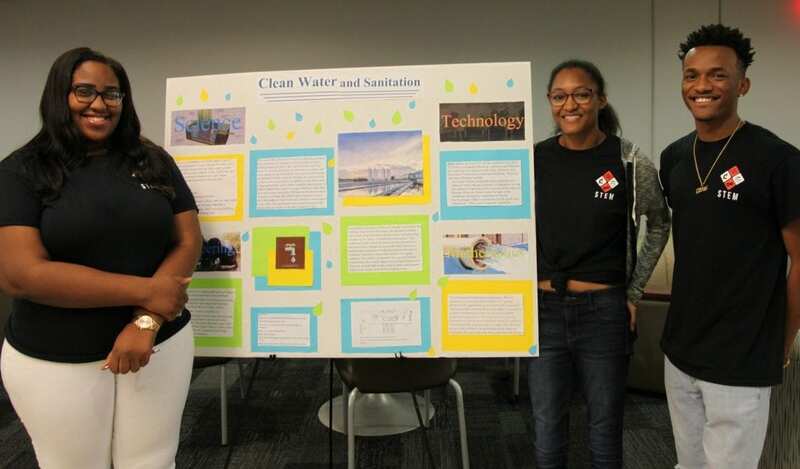 With Ja’Terica Thomas, Javarius Lott, and Lionel Martin, Chatelain and her group focused their project on clean water and ways to make it accessible for drinking. 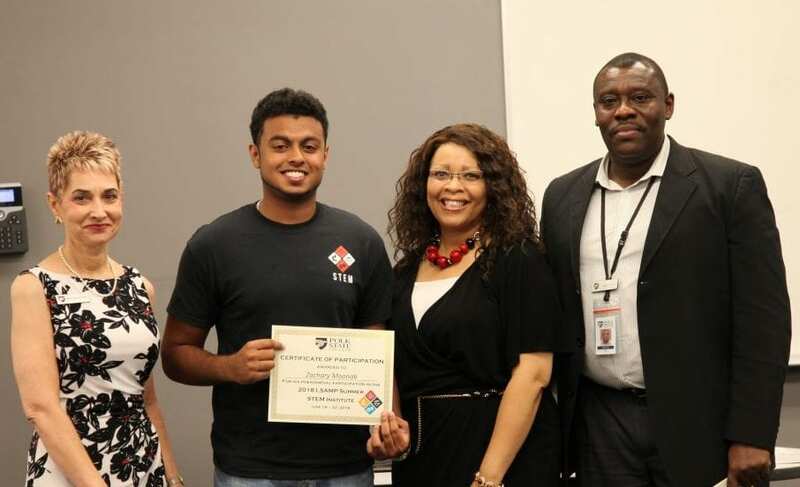 Bedjamin Joseph, who graduated from Winter Haven High School and plans to study pharmaceutical sciences, expressed a similar passion for the scientific process. 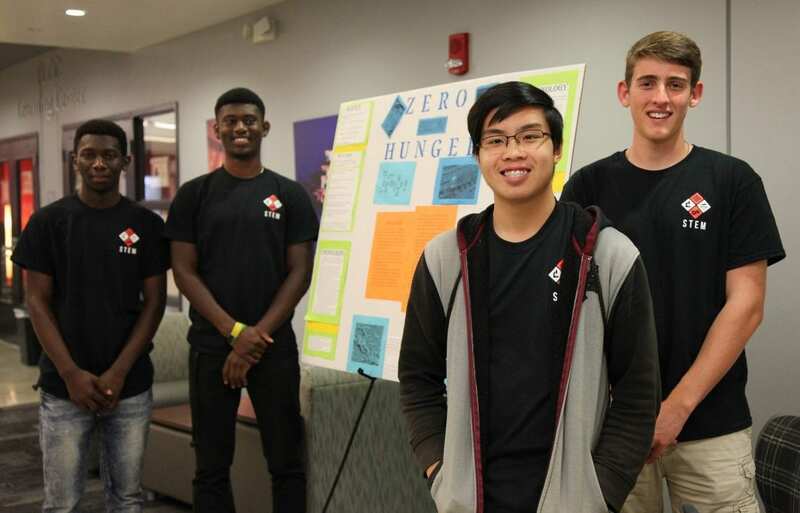 Joseph, Sean Ivey, Tommy Pharm, and Marco Johnson explored the possibility of using genetically modified organisms (GMOs) to grow larger and more resistant crops to solve world hunger. 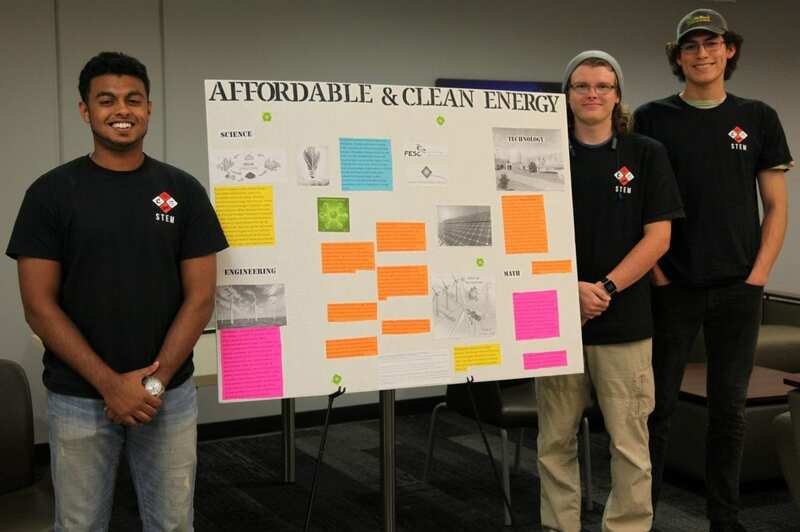 Dominic Ramirez, Chase Clarkson, and Zachary Moonab researched affordable and clean, renewable energy sources, including solar, wind, biomass, and nuclear energy. 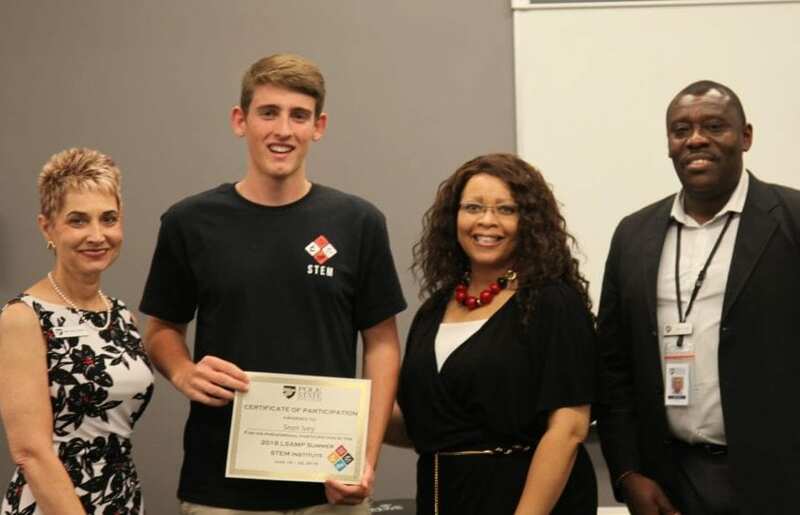 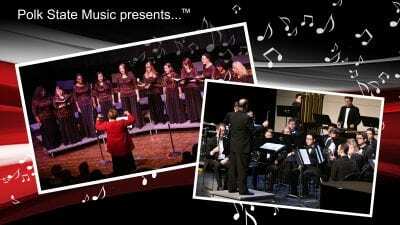 LSAMP representatives said that’s what it’s all about. 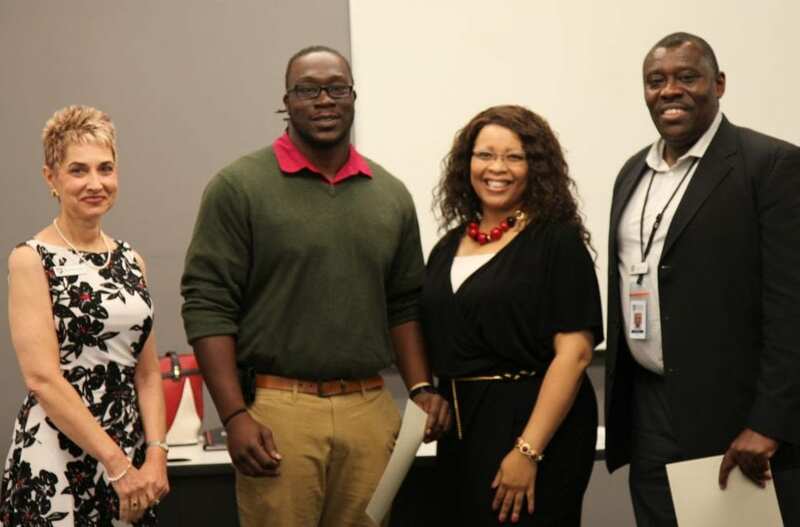 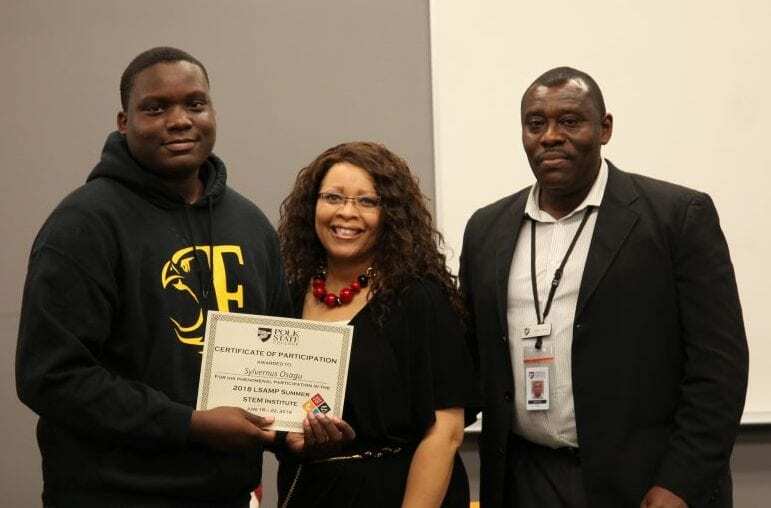 Smith, who plans to transfer to Florida Agricultural Mechanical University (FAMU) to study pharmaceutical sciences, has participated in LSAMP for more than a year and said the organization has afforded him experiences he has never had the opportunity to participate in before, including conferences, research, and networking. 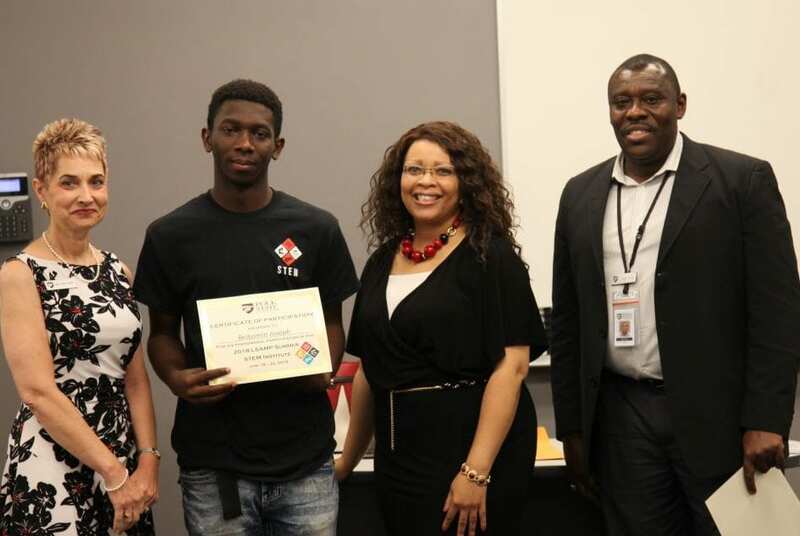 “This program gives students a strong support system and the motivation to pursue their interests in STEM. 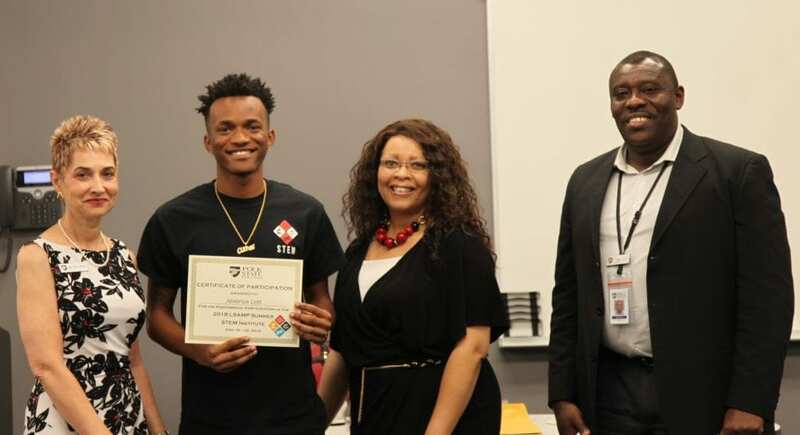 It gives students the confidence they need to be successful,” said LSAMP STEM Club President and Associate in Arts student Deandre Smith. 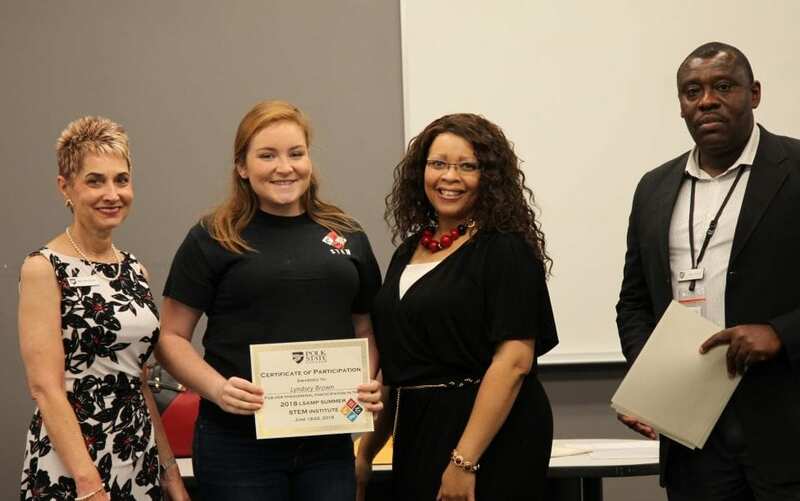 In closing Friday, Fynn ensured that all of the students were signed up for their fall classes, and encouraged them to remain involved in LSAMP, utilize their mentors, and visit their advisors regularly once the semester begins. 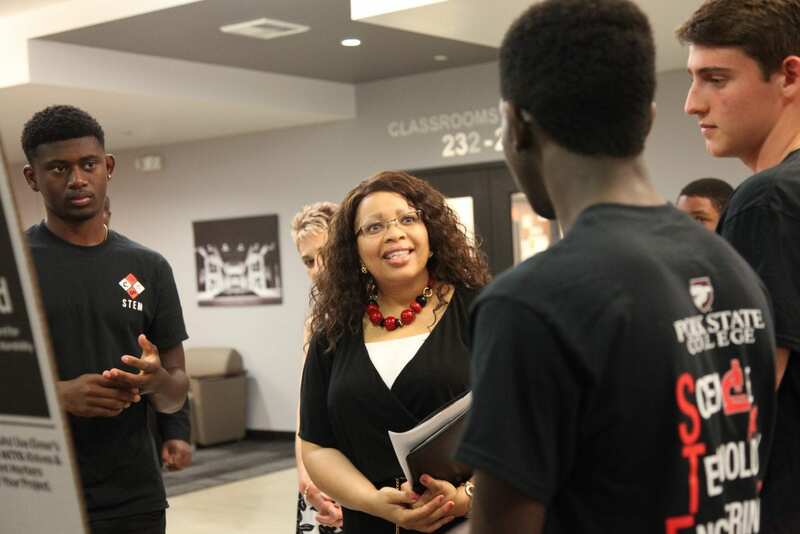 Smith encouraged students to be open minded and to take advantage of the services LSAMP has to offer. 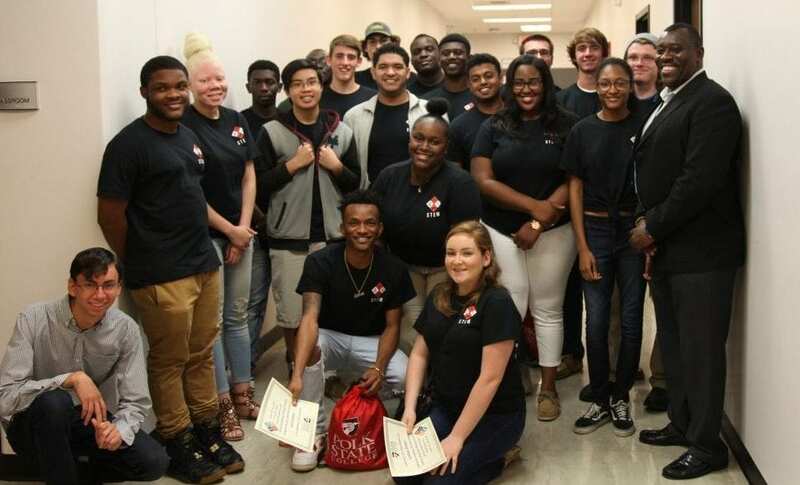 Students interested in LSAMP should contact John Fynn by calling 863.669.2895, emailing jfynn@polk.edu, or visiting WSC 228.